Brian Chesky and Joe Gebbia couldn’t afford the rent for their San Francisco loft apartment and decided to try something which later turned to be one of the greatest innovations of the 21st century. 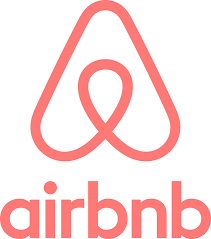 Today, booking a place with Airbnb has many advantages, one of them being the unmatched price for high-quality homes and amenities. You can benefit from additional discounts if you use the occasional Airbnb coupon. Read on to discover all the ways you can save on Airbnb home rental options. A random look at Airbnb reviews will indicate that Airbnb is one of the best ideas of the modern age. It can help you both earn money as a host and save money while being a guest on someone’s property. Even though Airbnb is only nine years old, it has already facilitated over 260 million check-ins. The company offers more than 4 million listings in over 65 thousand cities worldwide. Still, it is expected that the best from Airbnb is yet to come. Airbnb isn’t famous for its generosity when it comes to coupon codes. However, there are several coupon offers which can be used for reducing accommodation prices. So if you have an account on free credit is just a few scrolls away. There have been several coupon code offers so far, and you may stumble upon one while you’re checking their website. However, in all honesty, Airbnb promo codes aren’t the most prominent way of saving when booking on this platform. That being said, promo codes are not something you’re likely to come across on the Airbnb website. Still, you can try, it doesn’t cost anything! If you’re looking for a place to find a coupon for saving on your next accommodation booking, Reddit is something you should consider. Many Reddit users share their affiliate code, giving you discounts between $20 and $40 for your first booking. Speaking of websites other than Airbnb’s official one, you might come across an Airbnb promo code on Groupon. However, it is not very likely it will be valid, and we will discuss the reason for that below. When it comes to redeeming a coupon code, you need to apply it when making your reservation. More precisely, when you book your desired rental and proceed to the checkout page, you should click on the ‘Redeem a coupon’ button beneath your payment method. After that, all that’s left is to enter the promo code, click apply, and enjoy the benefits of your voucher. On the other hand, a referral code is automatically applied when you visit the referral link. As the case is with many things online, there is always the chance for something to go wrong with redeeming coupons. Before you contact customer service for help, you might as well check a couple of things. First of all, most problems come as a result of mistyping the code. So it’s smart to double-check the email with your discount code and even smarter to copy and paste it. Furthermore, coupons can be used only once and can’t be applied retroactively. When it comes to their discount offers, Airbnb has a quality-over-quantity policy. In most cases, Airbnb only acts as an intermediary between guests and hosts. Still, hosts often get suggestions from Airbnb that it would be reasonable to lower the prices for specific dates. If the host accepts the proposal and sends a special offer, Airbnb offers you a reduced rate for booking on particular dates. At times, you’ll need to hurry up because the host may have sent the same offer to several potential guests. The special offer usually gives you a discount of 10-20%. The Airbnb referral program is another excellent way to save money on your travels and even earn some extra cash. If you’ve registered, tried it, and had a great experience with this platform, invite friends to join and try it as well. You’ll be able to earn up to $5,000 total in travel credit! You can find your invite code in the invitation section of your Airbnb account. Send it to your friends via email, or even share it on your Facebook, Twitter or other social media profiles for greater visibility. Both you and your friends will receive bonuses that will automatically appear on your checkout pages. They’ve always appeared in the form of an Airbnb coupon and this year is no exception. However, there are certain restrictions when it comes to this program. For instance, your friends cannot be existing Airbnb users, and they need to sign up using your invite link. Furthermore, you’ll get your bonus once they complete their first reservation of no less than $75. Keep in mind that this is excluding fees and taxes, so to be on the safe side, the value of the trip should be around $100. Finally, you can’t use your credit for a reservation that’s already been paid for, but it will be available for your next booking. There are two ways you can earn credit with the help of your friends – when they travel and when they host. You can receive $95 for every person you invite. When you send them an invitation, they get $25 in Airbnb credit. You’ll get $15 when they travel and $80 when they host. The travel credit you earn can only be used once, and Airbnb changes the rewards quite often. According to the Airbnb cancellation policy, if you cancel a trip, the travel credit can’t be used again. The maximum amount of travel credit you can earn this way is $5,000. But note that every credit earned expires within a year from the date it was acquired. To keep an eye on all your referral details, check the Invite Friends page of your Airbnb dashboard. A gift card is a beautiful present you can give to someone. Go to the Airbnb gift section to browse available gift cards and send them to someone via the “Send a gift card” option. This is where you can redeem a gift card as well. However, if you receive a gift card from someone, all you have to do is click “Accept” in your email, and you will be redirected to that page. Then, just like redeeming an Airbnb discount code, all you have to do is click on the “Redeem a gift card” button and enter your code. The funds will be automatically added to your Airbnb account. You have to claim them within 90 days of receiving them. If you don’t, they will return to the sender’s Airbnb balance using the same payment method they used to buy it. To check your gift card balance, go to your payment methods page. You can only buy gift cards in US dollars at the moment, but Airbnb is working on adding other currencies in the future. Ordering multiple gift cards requires a purchase of at least $1,000. When you book a trip, the balance from your gift card will be automatically accounted for. However, just as it’s the case with Airbnb coupon codes, there are a couple of limitations for redeeming gift cards as well. First, Airbnb Gift Cards can’t be used for longer vacations – 28 nights is the limit. Moreover, you can’t apply them to previously paid reservations. Finally, if you make changes to an existing reservation and you need to pay an additional amount of money – you can’t use a gift card to pay for the difference. When Brian Chesky and Joe Gebbia started Airbnb, they couldn’t have dreamed that they’ll compete with some of the leading hotel chains worldwide. Airbnb is so widespread that it’s almost impossible to find a reasonably-sized city without at least 10 Airbnb listings. Even though it’s often disputed and also sued, Airbnb keeps on growing. Even without an Airbnb coupon, rest assured that you’ll get an unmatched price. In the end, the home-like experience while traveling offers a lot more than what you’ll be paying for.